comfortable property near to Peer Garhi Metro. 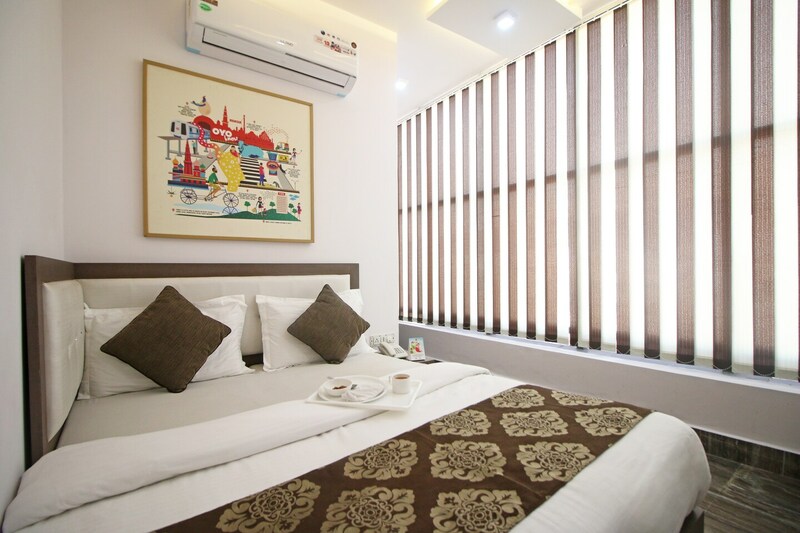 Hotel RK Grand Inn is in the Peer Garhi area of West Delhi district of Delhi, within walking distance of the green line Peer Garhi metro station. The tourists can explore all the tourist attractions like Safdarjung Fort, Mumtaz Mahal, Khas Mahal, Ugrasen ki Baoli, Qutub Minar, Humayuns Tomb, India Gate and Sikandar Lodi Tomb. A guest choosing to stay at hotel RK Grand Inn gets a comfortable stay, thanks to amenities like free Wi-Fi, air conditioner, power backup, elevator facility, and a conference room as well. Hotel RK Grand Inn is a 5-minute drive from the Peer Garhi industrial area. The hotel is also surrounded by ample vegetarian, non-vegetarian and Italian restaurants, pubs, banks.